-Extremely lower amounts of chemicals needed. 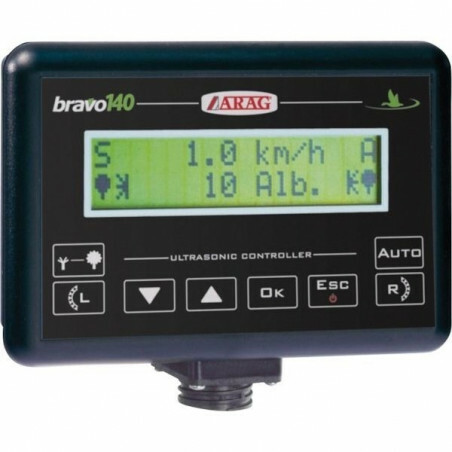 Automatic control of section valve opening/shut-off depending on speed; crop detection via ultrasound sensors. Displayable data: speed, covered area, number of sprayed trees, ultrasound sensor status. 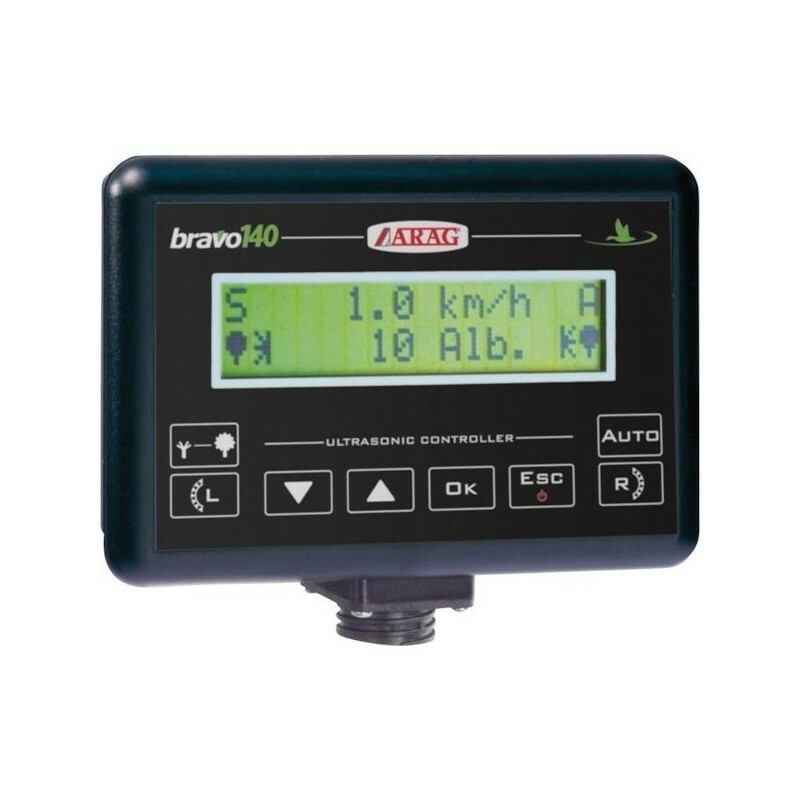 Automatic adjustment of solenoid valve opening/shut-off according to speed. Sensor cutting off for special treatments. Selectable language: Italian, English, Spanish and Portuguese. Operation also without speed sensor by manually setting estimated speed value.